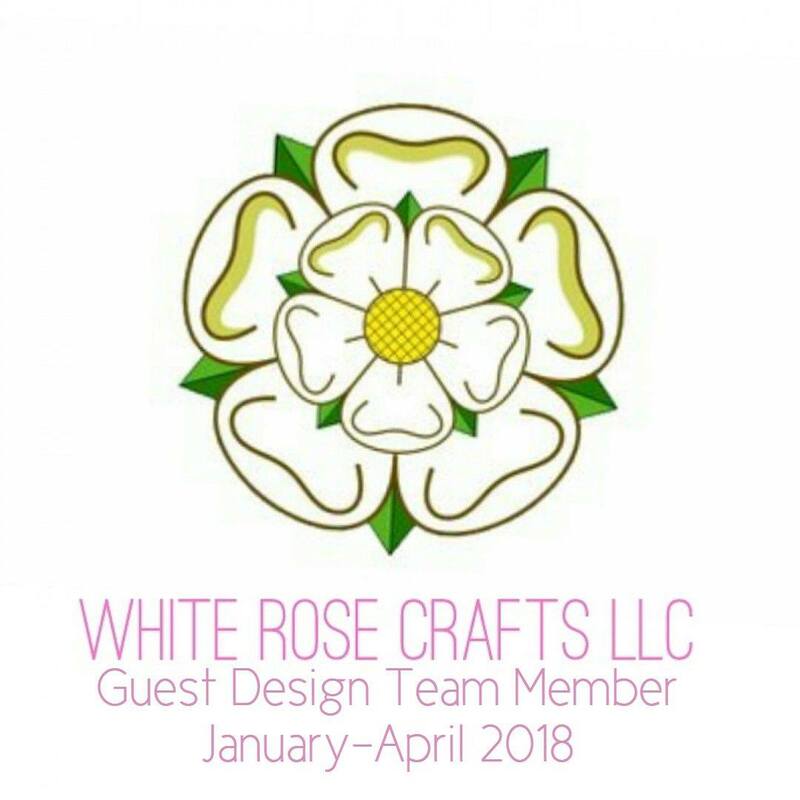 Greetings friends and fellow crafters... LeeAnn here today with my project for World Card Making Day Challenge 2017 using two of the Joy Clair Stamp sets. When given the option of theme to use for my project I chose RAINBOW and I am so glad I did. I had fun with this. Like many other crafters these days, I have been experimenting with Distress Oxide inks. I made for different backgrounds a few nights ago, each one different than the other, and all will be seen in upcoming projects the next month or so. The background on this project is the final result of my inky fun. Each time I made a background I cleaned up my mat with the same baby wipe and realized hey, this could be interesting. I laid it flat on my mat and smooshed a 4.25" x 5.5 " piece of distress watercolor cardstock onto the wipe. the end result after drying is the background on this project. 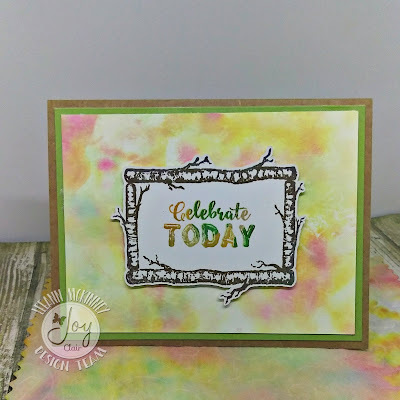 I then used my stamp platform to position the frame from the Rustic Christmas Stamp Set on a piece of Recollections 110 lb cardstock, I made multiple impressions using Memento Dew Drops Rich Cocoa in case I was to mess up when I stamped the sentiment. I then used the Brother Scan n Cut to cut the image leaving a .04" border. 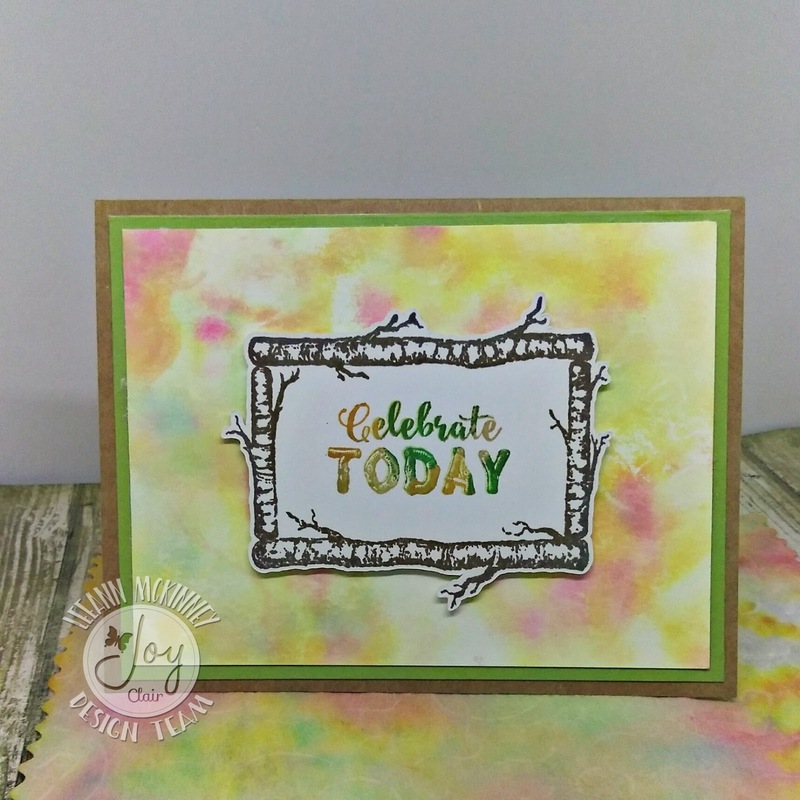 I positioned the sentiment from Rustic Occasions Stamp Set and used 3 different Memento Dewdrops (Peanut Brittle, Toffee Crunch and Cottage Ivy) to stamp giving it an Ombre look. To complete this project, I have an A2 base of kraft cardstock, the next level is 4" x 5.25" of olive green and then the watercolor panel cut at 3.75" x 5". All layers are adhered using Double sided Tear Tape from Imagine Crafts. The sentiment frame is adhered using foam squares for added dimension. 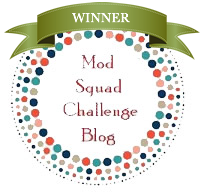 If you choose to play along, you can link your RAINBOW inspired project right here on my blog. I hope you have enjoyed this bit of inspiration, don't forget to follow Joy Clair on our social media venues to be the first to hear the news, sales, promotions and giveaways!